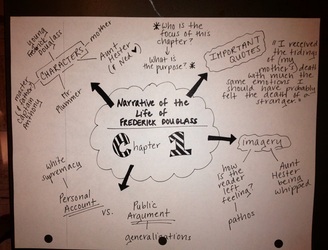 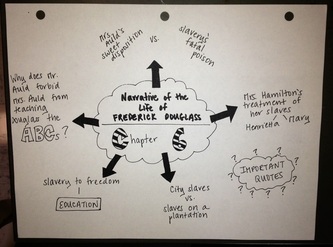 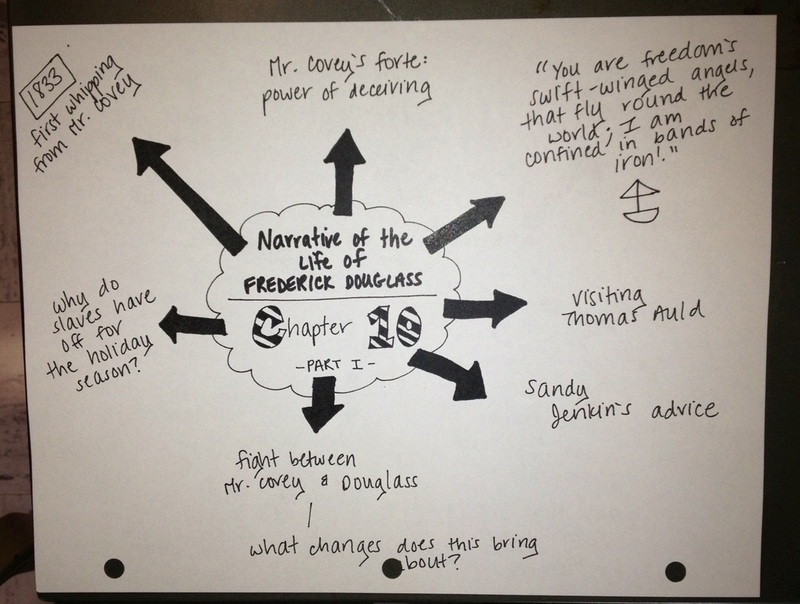 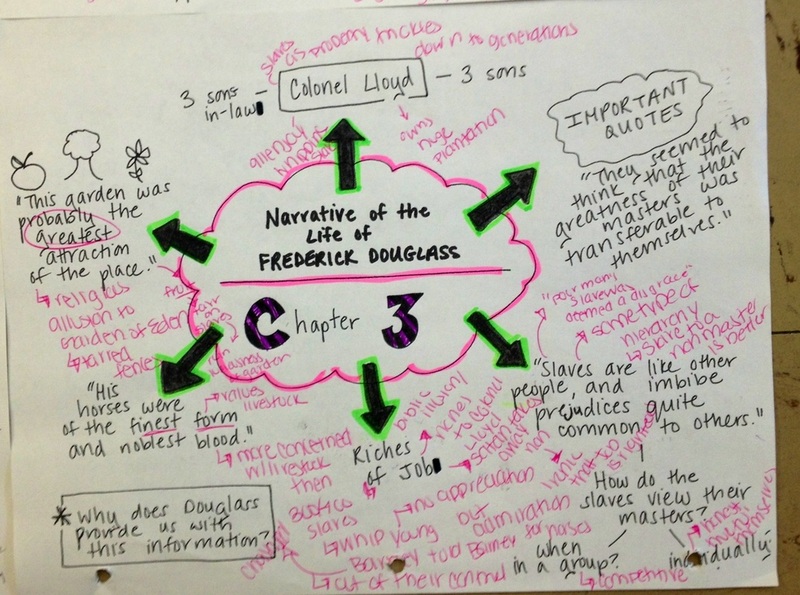 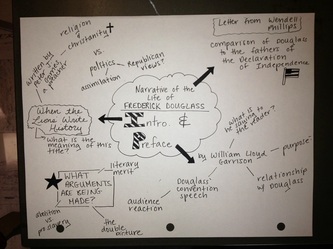 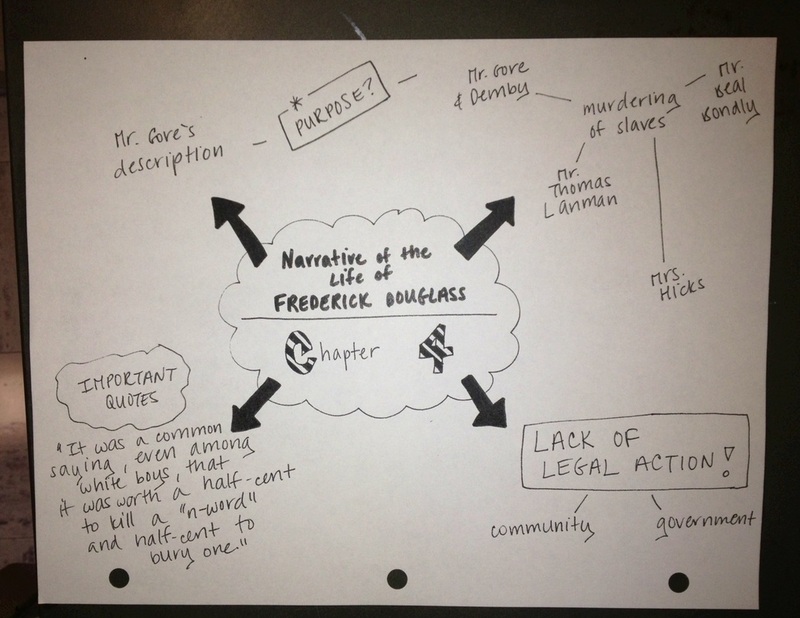 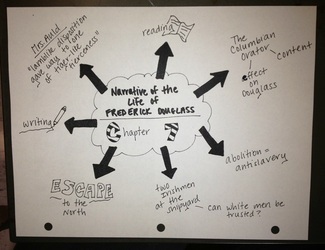 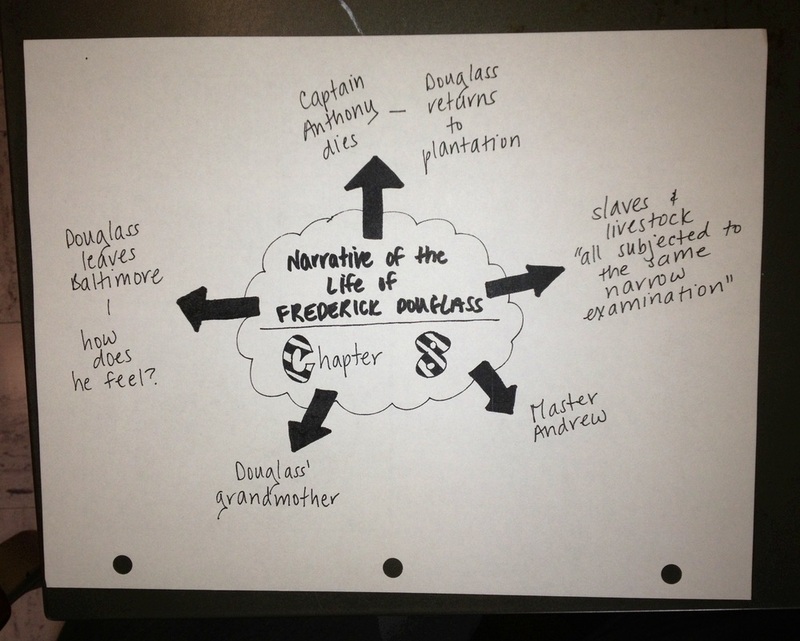 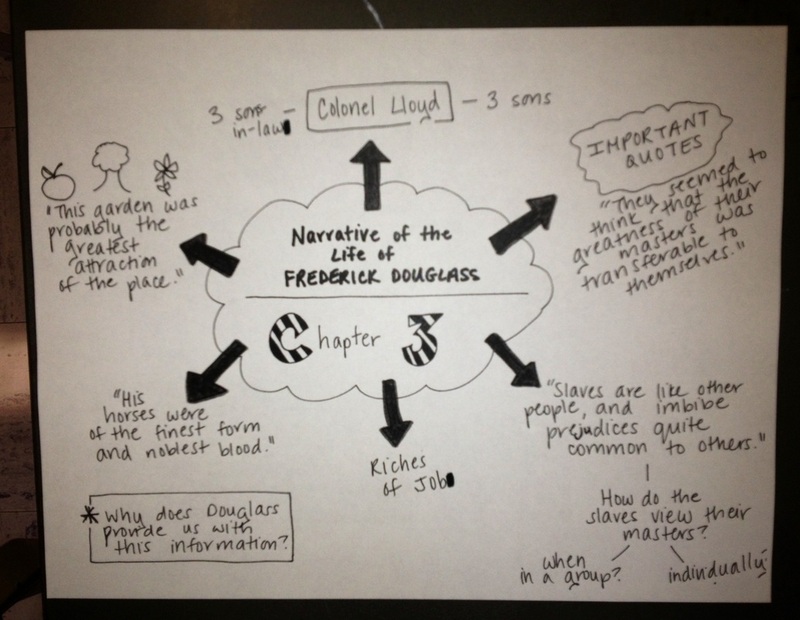 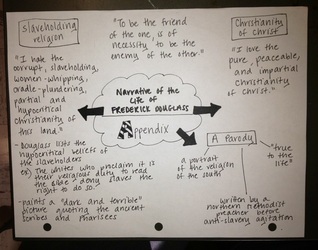 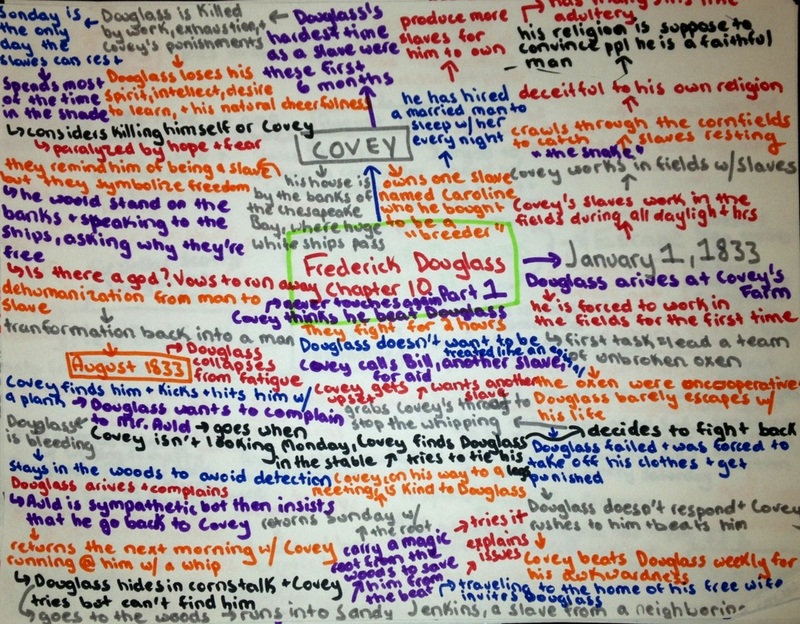 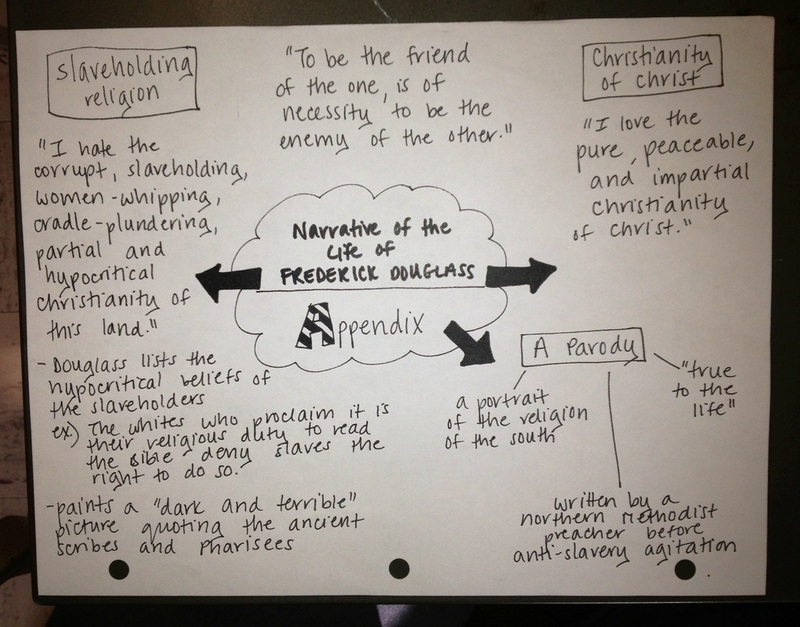 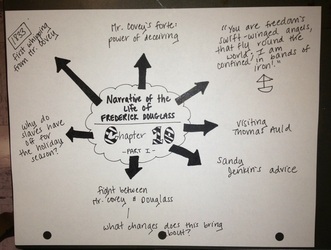 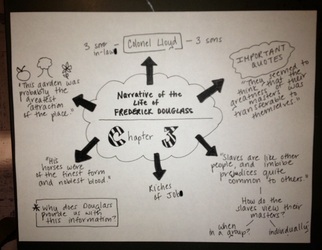 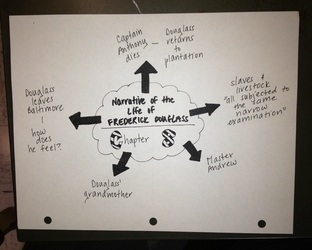 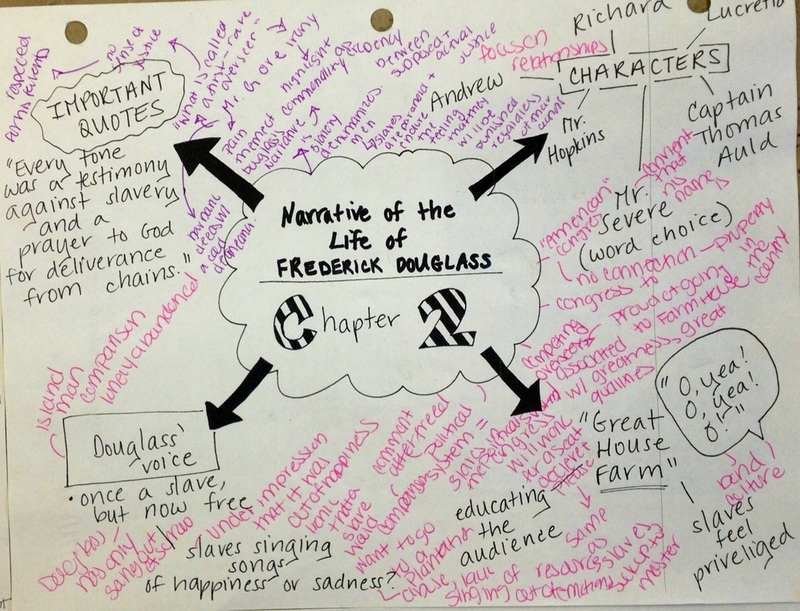 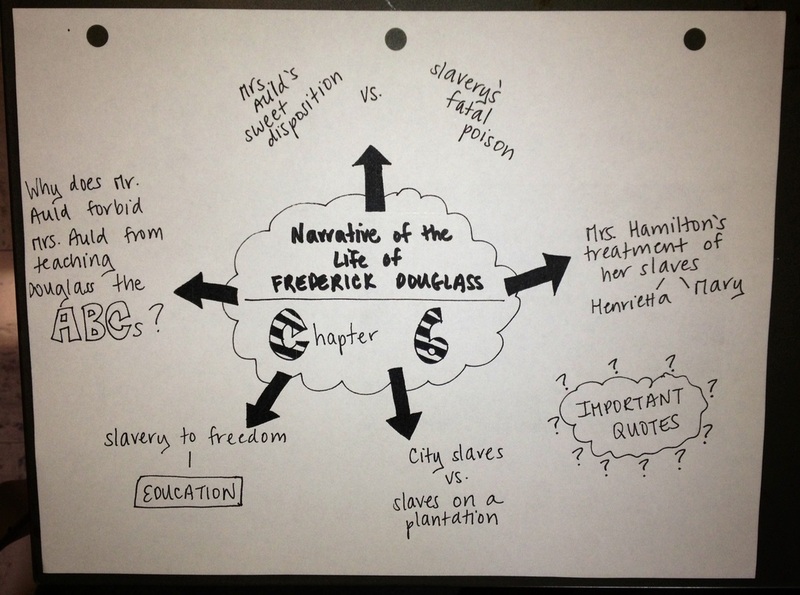 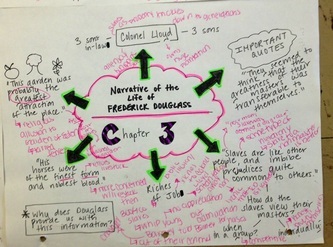 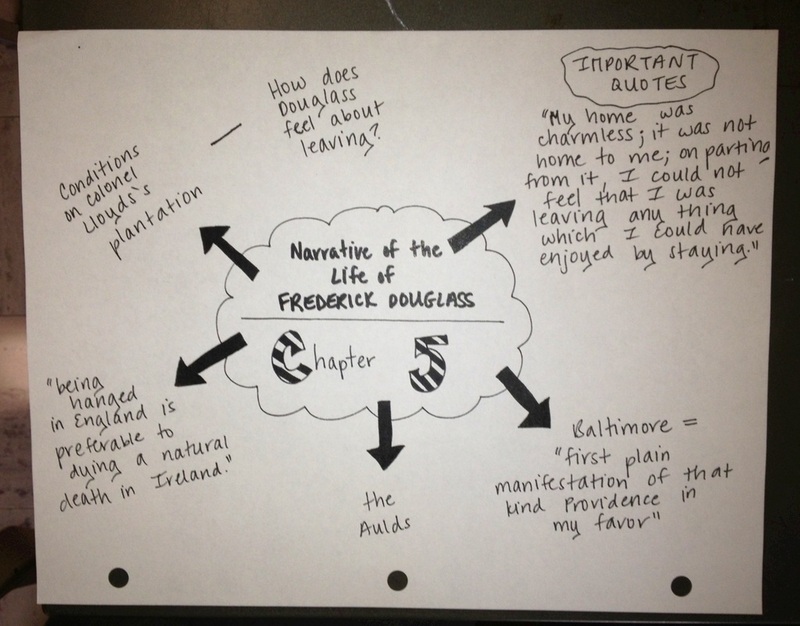 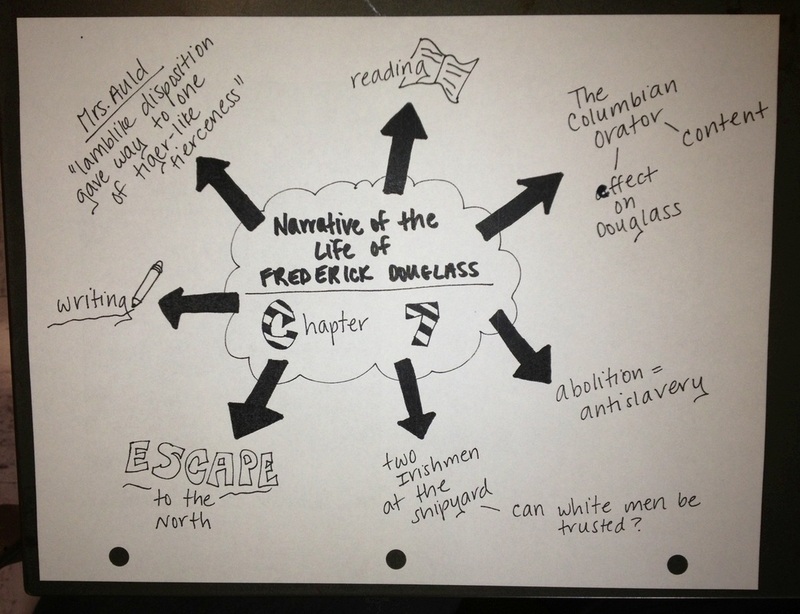 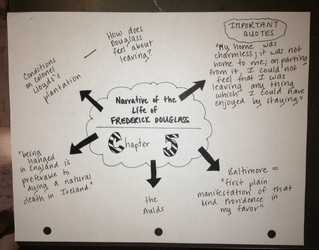 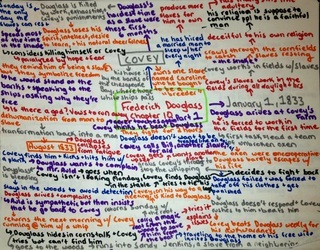 These mind maps were all done by my student-teacher, Ms. D, as she prepared to teach The Narrative of The Life of Frederick Douglass. She followed a basic structure that I have used for everything from Gatsby to Macbeth and everything in between. 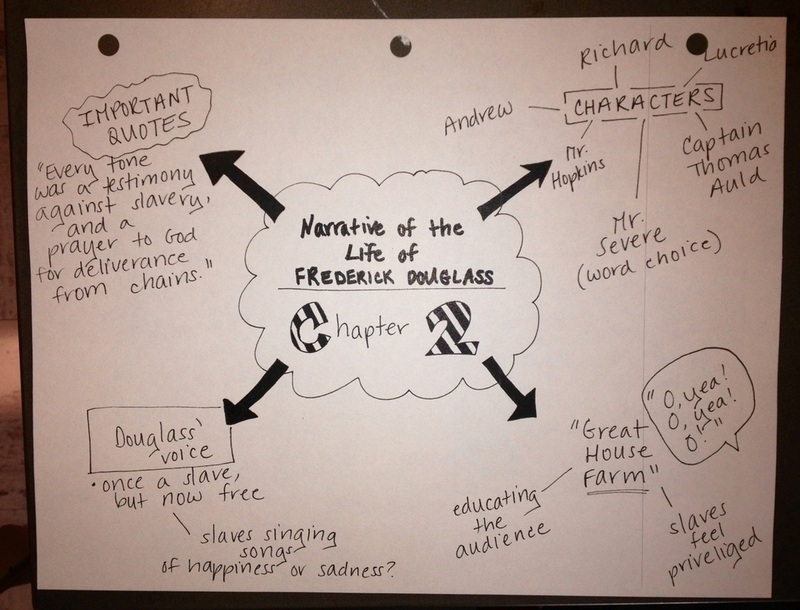 It's very simple: Break down each chapter into a mind map (or two) touching on the important points you want to make, lessons to teach, sections to read aloud, questions for kids to contemplate and so much more. 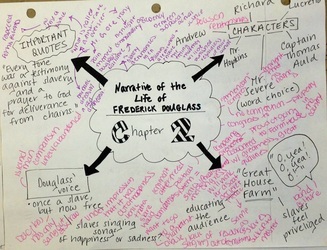 By handing out the mind maps you will elevate your "discussions" into note-taking sessions that are active, engaging, and much more educational. 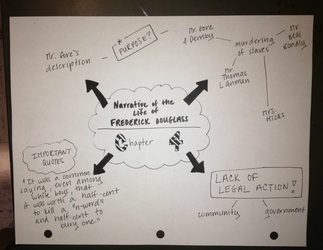 As documented in my blog entry, I don't even utilize this method so much anymore!! 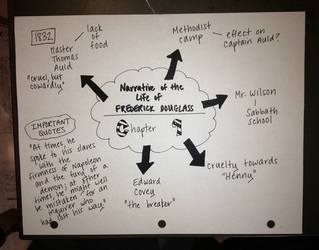 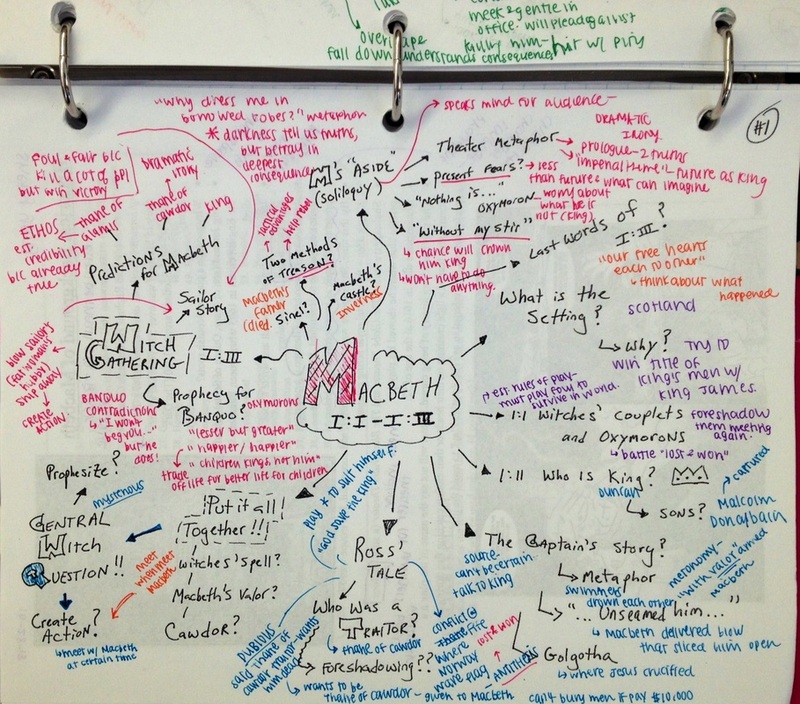 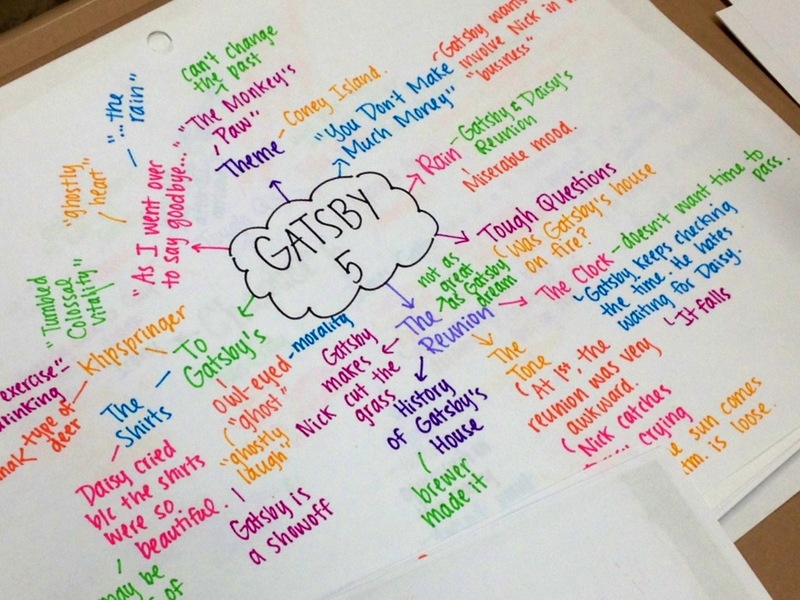 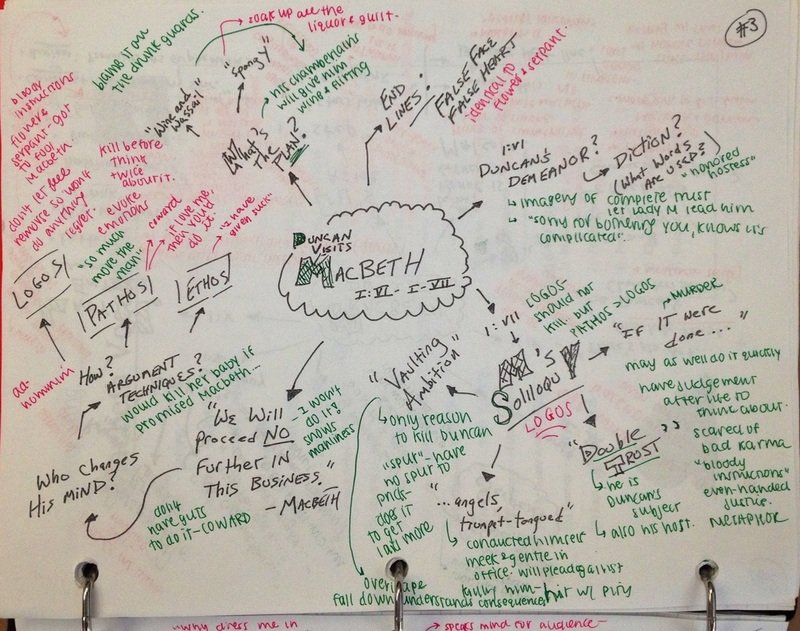 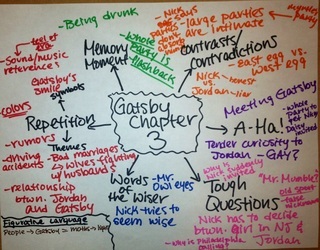 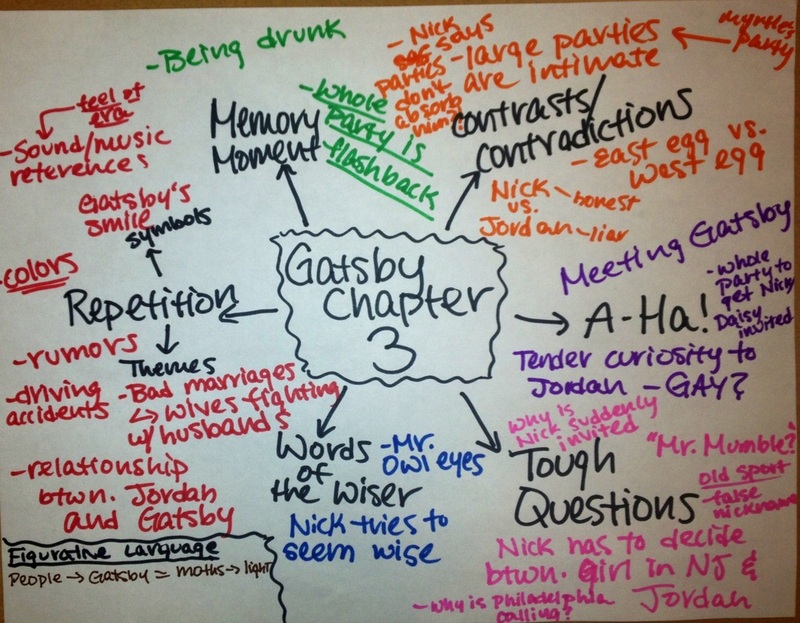 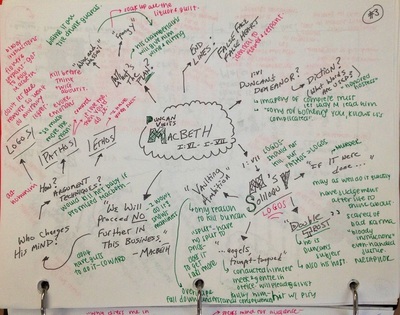 I have other ideas about using mind maps to teach literature.